Hazleton, Pa. is looking to local nonprofits for payments in lieu of taxes (PILOTs), and this all-too-typical request from the mayor is of importance to nonprofits—beyond the standard concerns about taxing tax-exempt entities. A five-year analysis of Hazleton’s future fiscal condition conducted by the Pennsylvania Economy League predicts that the city will encounter a $14 million budget deficit by 2016. Hazleton Mayor Joseph Yannuzzi has written to churches, the public library, and other nonprofits to make voluntary cash payments or to volunteer services that would be recognized as the equivalent of PILOTs. This very brief Times-Tribune article only mentions the reaction of the public library, which concluded that it is hardly in the financial position to pay the city and that it is already offering a public service to the city. 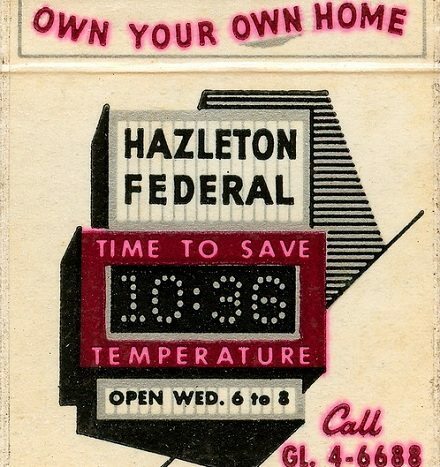 Aside from the PILOTs issue, Hazleton is of importance to nonprofits because, under the city’s previous mayor late in the last decade, Hazleton gained a reputation as being hostile to immigrants, enacting a variety of laws aimed at “illegals” that some Latinos perceived as indicating that they were unwelcome in general. The Hazleton laws “empowered the city to fine landlords who knowingly rented to illegal immigrants and to threaten the business licenses of employers who hired them,” according to coverage in the Philadelphia Inquirer of the City’s current efforts to reinstate the laws. As our coverage of nonprofits in Youngstown, Ohio noted, cities with healthy in-migration of immigrants tend to thrive; those that don’t, don’t. And those that are seen as particularly hostile to immigrant populations (Hazleton’s Latino population had grown to all of nine percent of the city’s total) do themselves harm. In fact, some of the nation’s smarter cities are showing themselves as welcoming ports for immigrants, recognizing the economic benefits of a healthy immigrant population, notably Baltimore and Philadelphia, which are prohibiting local police from conducting immigration status checks. Baltimore is also offering Spanish-language storytelling at local libraries, Spanish-language recreational and health services, and other outreach to residents who don’t speak English. The challenge for nonprofits in the troubled city of Hazleton is not simply to fend off desperate, generic governmental pleas for in-lieu tax payments, but to be strong and vocal against the continuing efforts of Hazleton to be less than welcoming to Latino immigrants—and don’t tell us that Hazleton is only concerned about undocumented immigrants, please. It doesn’t wash. For example, we looked at the Hazleton United Way’s 2011 Form 990 to see the list of agencies it supported through grants. While there are plenty of organizations that we would presume (or at least hope) automatically include Latinos in their service delivery (for example, Catholic Social Services, the Salvation Army, and the Child Development Council), none of the organizations on the list specifically reach out to and represent Hazleton’s Latino residents. On the local United Way website, the words “immigrant” and “Latino” do not appear in the United Way’s 2010 report to the community and “immigration” appears only as a service in the brief enumeration of functions of Catholic Social Services.